The premise behind Sweatcoin, which also is available in the U.S. and UK, is it allows users to earn cryptocurrency by walking outdoors. With these earned ‘Sweatcoins’, users can apply them to purchase goods and services inside the app. 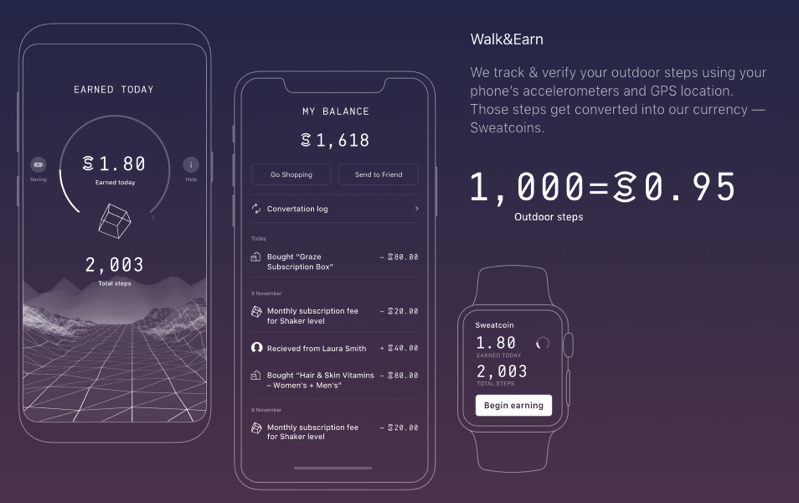 According to Sweatcoin, 1,000 outdoor steps are equivalent to 0.95 Sweatcoins. So for example, if you have 20,000 Sweatcoins, you can redeem for a free iPhone X or $1000 in PayPal cash. Now, be aware Sweatcoin requires a tonne of your data to register. You need to provide an email address, mobile number for verification code, your Health data and always-on location data. For benchmarking and comparison purposes, as well for research purposes in the health and wellness field, we may collect and analyse aggregated anonymous user data generated by the Sweatcoin App and your mobile device. Such aggregated data will be anonymous and will not identify you. We may sell or provide this data to third parties or publish it. In order to delete your account, you need to request it within the iOS app’s contact feature, then click on a link they send you via email. Again, given the recent Cambridge Analytica scandal and Facebook, one should be wary when giving up their activity and location data in exchange for virtual currency. Click here to download Sweatcoin in the App Store—but be aware of what information you’re giving up for the allure of virtual cash.